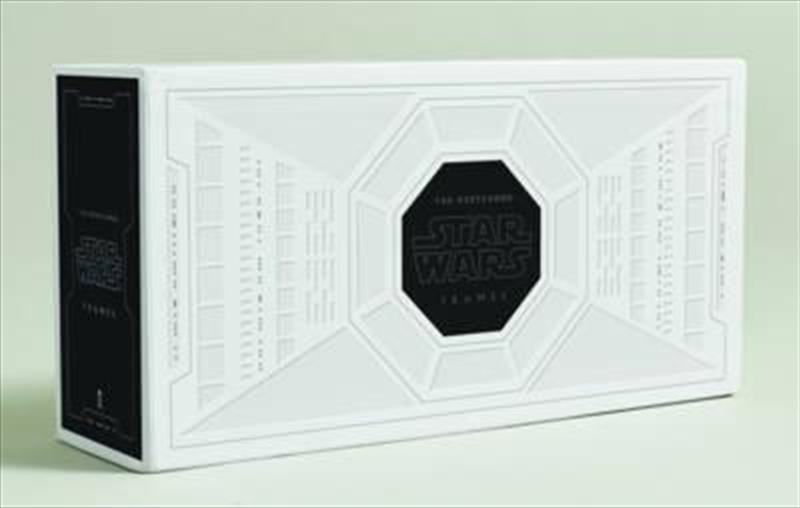 Distilled from the frames hand-selected by George Lucas, these postcards feature 100 iconic isolated stills from the six Star Wars films. The individual cards are frame-able and mail-able works of photography and design and a testament to the hard work, craftsmanship and dedication evident in every frame of every film. They are packaged in a deluxe keepsake box (a smaller interpretation of the slipcase designed for the Frames books).